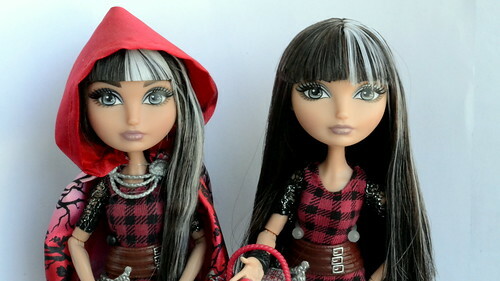 On the left is the first release Cerise Hood doll that I purchased in December 2013. On the right is the second release Cerise that I purchased yesterday. I wanted to point out the differences between the two. The first (most noticeable) difference is her eyes. 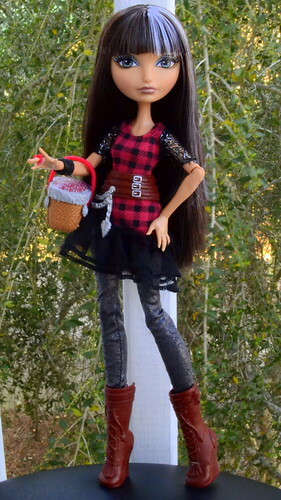 The new doll has eyes that are printed further apart (or it at least appears that way). The second difference is the lips. The older Cerise has gold dots on her lips; the newer one has silver dots. And the least interesting change is the stand. The older Cerise has a black stand clip and the new one has a clear stand clip. Thanks for pointing out the diferences! i have noticed this before but now i have a better comparation photo to look for the one i want! i want the newer one! greetings from Brazil!